A tree whose name translates from Spanish to “green stick” has performed a remarkable feat. 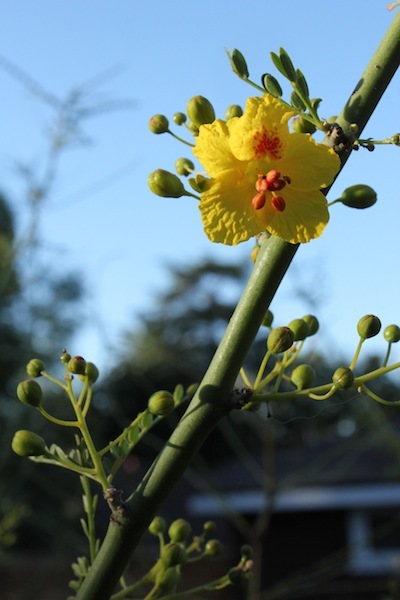 Native to ranges in Southwestern deserts and once thought here as appropriate only for Phoenix or perhaps Palm Springs, the palo verde tree has become a favorite choice of Los Angeles landscape architects. Click here for a Q&A with Mark Dimmitt in this week’s Dry Garden column in the Los Angeles Times. In it, the director of natural history at the Arizona-Sonora Desert Museum in Tucson kindly talks about a selection of palo verde tree that, thanks to him, is now giving “xeriscaping” a good name.